The shiny smartphone also supports 1Gbps LTE networks. Sony’s smartphone roadmap has never been predictable. It was barely six months ago at IFA when it merged the Xperia X and Z lines to create the Xperia XZ, a handset with top-of-the-line specs aimed at jump-starting its standing in the high-end U.S. market. While that gambit didn’t quite work out the way it had hoped, Sony has decided to take another crack at it. But instead of changing its strategy, Sony is doubling down on it. 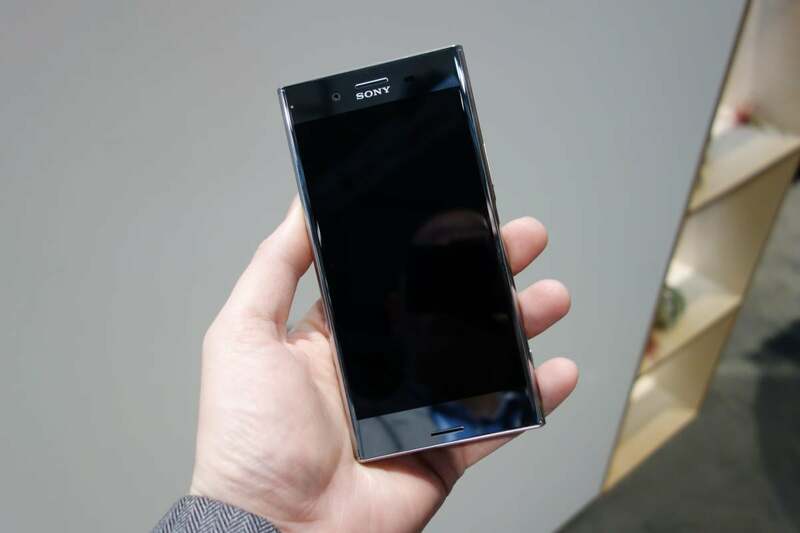 It brought no less than four new phones to Mobile World Congress, including two new flagships, the Xperia XZs and the XZ Premium, a phone that shines, quite literally. The first thing you notice about the new phone is the mirror finish that surrounds the device. Available in deep sea black and luminous chrome, the finish gives the phone a sparkly appearance that seems destined to require lots of polishing. But the innovation in the XZ Premium is actually below the surface. Its primary features are both firsts on a smartphone: a 4K HDR display and super slow-motion video. The 4K screen is 5.5 inches across, which means it’s small enough that the 4K resolution shouldn’t make too much of a difference. On a large screen like a television, the added pixels are immediately noticeable, but on a small screen it’s much more difficult for the human eye to discern the extra resolution. But this is where the HDR comes in. Short for “high dynamic range,” HDR is a technology that widens the dynamic range that can be displayed so both dark and bright areas of an image are represented equally well. The tech has been in some cameras for a while and is now coming to video, with some downloaded movies from Amazon Prime and Netflix already supporting it. Keeping the screen powered on is a respectable 3,230mAh battery, and Sony has kept the fingerprint sensor on the right edge of the device built into the power button (though the U.S. model will ship without one). But even with one of the highest resolution screens around, the XZ Premium, like most Sony phones, is all about the Cyber-shot cameras. You’ll find a 19MP camera on the back and a 13MP one on the front, plus support for 4K video recording. The super slow-motion is a fun feature that’s the XZ Premium’s party trick. Sony is branding it Motion Eye and it captures video at 960 frames per second. When played back at the normal 30 frames per second, the video appears slowed by 32 times so things that happen fast can be viewed in super detail. The video works at 720p resolution. Another interesting feature of the phone, which won’t hit U.S. shelves until late spring, is its processor. It include a Qualcomm Snapdragon 835, which is something of a milestone for Sony. The next-gen chip, which is capable of 4G LTE data transfer at up to 1Gbps, made its debut at CES, but the XZ Premium is the first phone tipped to include it. All of the other flagships announced so far this year (including the LG G6) still use the 821. However, it might be nothing more than a bit of gamesmanship on Sony’s part. Reports say that Samsung has snatched up the first run of 835s for its upcoming Galaxy S8, so it is likely that the XZ Premium won’t actually ship for several weeks after Samsung’s flagship launch. Pricing hasn’t been announced for the XZ Premium, but it certainly won’t come cheap. The Xperia XZs will be available in blue, silver, and black. Sony also announced the Xperia XZs, a follow-up to the barely six-month-old XZ. With the same 5.2-inch display as its predecessor, the new handset includes the XZ Premium’s Motion Eye camera system, 4GB RAM, and 64GB of storage. It will be available on April 5 in blue, silver, and black for $700. There’s also the 5-inch Xperia XA1 and 6-inch Xperia XA1, both of which feature 23MP rear cameras. The Ultra also gets a 16MP selfie cam with optical image stabilization, along with 4GB of RAM and a 2,700mAh battery. The Xperia XA1 will go on sale May 1 for $300, while with XA1 Ultra won’t be available until late spring. This article was updated with additional details by Michael Simon.